This set was a redemptive one for Tom G. Warrior and company. The Swiss blackened doomsayers were set to play Deathfest last year, but were forced to cancel last minute when H.R. Giger's passing meant that Warrior had to join his dear friend's widow in planning the funeral. 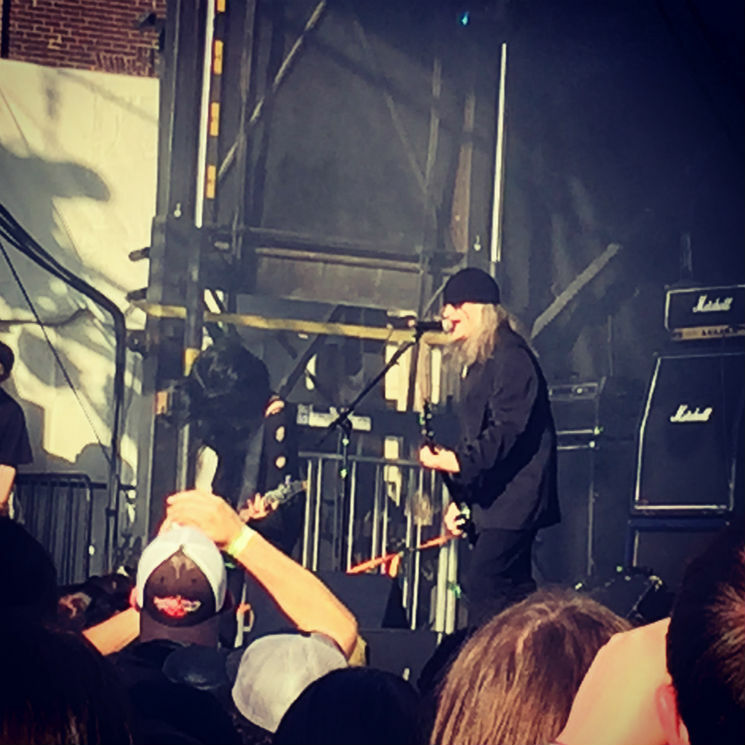 Deathfest welcomed Triptykon home with open arms, and the band responded with a set that was absolutely perfect from start to finish. Triptykon is, in every way, a spiritual successor to Warrior's earlier work much more than a completely independent project, so in addition to playing newer tracks like the churning, brimstone-reeking "Goetia" and the intensely moody and bleakly triumphant "Prolonging," they also performed several Celtic Frost covers, including "The Usurper" and even the Hellhammer song "Messiah." The selection could not have been more perfect, and was performed with a deft, commanding presence and, dare we say, even a little bit of delight.